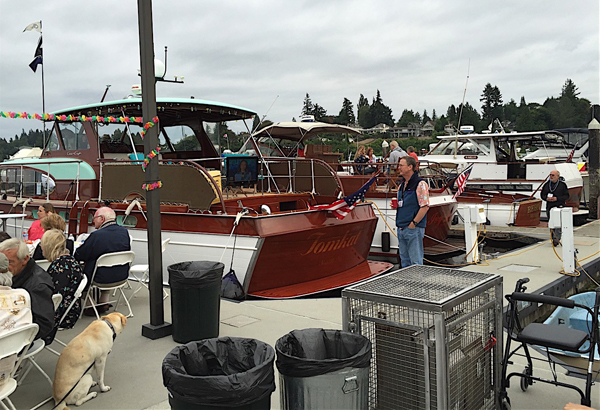 The 29th annual Chris-Craft Rendezvous will be held Thursday, July 12 through Sunday, July 15, 2018 at the Port Orchard Marina. Bring your boat, family and friends to the largest Chris-Craft Rendezvous in the world, and help us to continue the legacy of these unique and wonderful boats. It is four days of fun, with many activities, meals, story-swapping, and the opportunity to meet the owners of 60 to 80 Chris-Crafts, of every size, shape, and condition. There is no better way to celebrate these great boats than by sharing experiences with other owners. Each year, we hear how much fun people have had at at the CCR. It is really THE event to attend this summer! Registration and ticketing can all be handled online this year. If you still prefer to pay by check, please print off the registration form from our website, add your choices, and mail it, along with your check payable to Chris-Craft Rendezvous, c/o Roger Palmer, 4213 Leary Way NW #113, Seattle, WA 98107.